The last time I visited Sista’s Place, to hear a rough & ready band featuring Hamiet Bluiett, D.D. Jackson, Andrew Cyrille, Billy Bang, Bob Stewart, and Sista’s artistic director Ahmed Abdullah, I was struck by the energetic synergy between audience and musicians. There was a constant amen corner from the audience and that in turn seemed to feed the musicians to higher heights, and a palpable raised energy level that was apparent not only in their playing but even on their faces. Part two of our conversation begins with that audience/artist relationship fostered at Sista’s Place. What’s the reaction from musicians who play Sista’s Place? Roger Wareham: Many of the artists who have played here talk about the atmosphere when they play here, that they feel so comfortable they just enjoy playing. The artists [who play Sista’s Place] are treated like royalty, they’re not background music for people’s discussions, people come here to hear the music. I remember when I was at [Harvard] and I went to visit Cornell and we heard [poet] Don Lee – he hadn’t become Haki Madhabouti yet. I remember during his reading he had to stop at one point and tell [the audience] to shut up and listen because people were talking, it was disrespectful, and that was the first time I thought about that. People ought to respect the art, and so that’s what we do at Sista’s Place; the most important thing we have are the artists. We don’t always have the resouces to pay them what they’re worth, but we always make sure we pay them what they agree to. Is Sista’s Place a not-for-profit? RW: Yeah. And if not enough people walk through the door [artist fees] come out of our pockets. Like Abbey [Lincoln} said, ‘the artists gotta get paid,’ that’s our position. And I think the artists appreciate that, they know when they come here that they are treated and regarded as important contributors to the continuum of our culture. 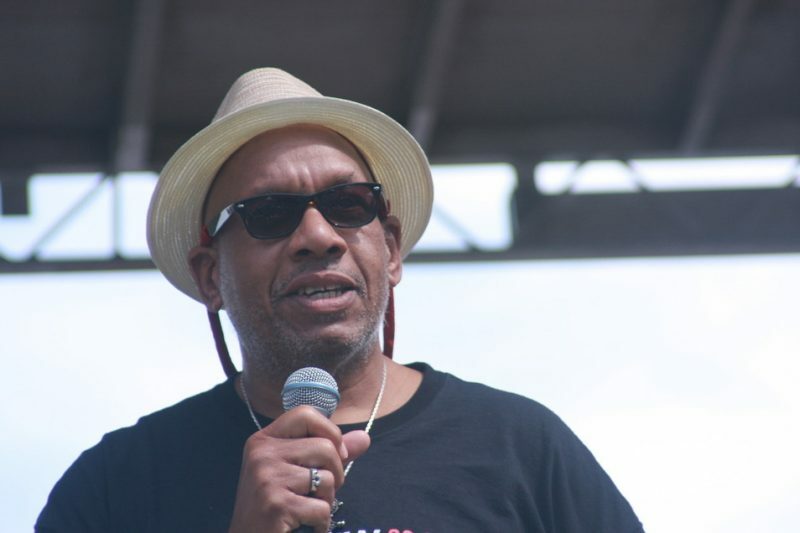 When I interviewed saxophonist James Spaulding for this Weeksville project he talked about having played the East and now playing Sista’s Place. The first thing he mentioned was looking out on the audience at Sista’s and seeing “a sea of faces that look like me,” and he talked about the audience interaction. For him Sista’s Place felt much the same as playing the East. How would you compare Sista’s to the East? RW: I think it’s true. I went to the East a couple of times. The first time I saw Betty Carter. The East was cultural nationalist with politics on the line and the whole atmosphere there was something that you immersed yourself in and felt very comfortable with; it emerged out of the struggle of the 60s around black power, black nationalism, and black culture. 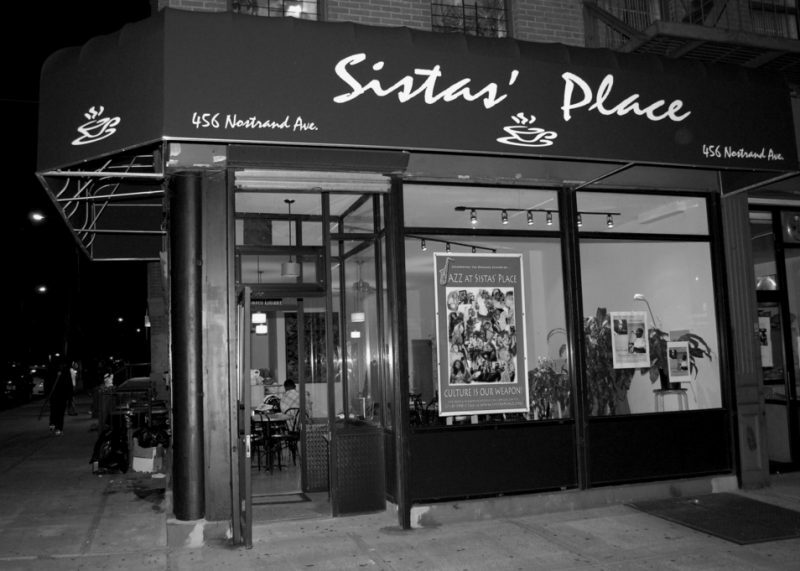 Sista’s Place has emerged out of the continuation of that struggle around the struggle for black folks’ right to self-determination, to own and control our own things, to exercise dominion over our culture and not have it taken off and commercialized and stolen by other folks, as is the history of just about everything in the United States of America. Having visited the East and now being an integral part of the operation here at Sista’s Place, when you come here for a performance does it feel very similar? RW: Yes, it feels very similar; people come in and they feel almost like they’re listening to live music in their home. That’s what a lot of the artists say, that’s what people say, that ‘I feel at home here.’ We had a birthday celebration here for James Spaulding a few weeks ago and he was so ecstatic. They performed and we had birthday cake and everything and the glee on his face was [palpable]; you can tell that he really enjoys playing here and it is reciprocated – and that’s the continuation of the East. The performances here are a living interaction. Things have changed in a number of different ways since the East. Back then they established the place as purely for African Americans. That apparently never was the policy at Sista’s Place. Given the fact that Sista’s Place audiences are not exclusively black, does it engender the same type of atmosphere? RW: Yeah, because most of the time the white folks that come here are in the minority; this is not an organization or place where a minority can come here and dictate the atmosphere for the majority. As long as folks don’t act rowdy, there’s not a problem, It helps pay the band. That’s not really an issue because the audience is predominantly black and we set the tone of what happens here. There are some [white] people who come here who are regulars and they’re real cool. Sometimes we get people who come here from abroad and there really haven’t been any problems. It’s gotta be a bit of a revelation for people who come here from abroad to experience a typical Sista’s Place audience, as opposed to going to some of the more traditional jazz clubs in Manhattan. RW: Yeah, I guess for them it’s sort of like when they go to black churches on their tours. When we first started people would come here and say ‘oh, this place should be in the Village…’ Why can’t this place be in the black community in Brooklyn, why’s it gotta be in the Village? Why can’t we have this quality in our community? We charge $20-25 for what they charge $50 for at the Vanguard… plus a minimum! Talk about the performance policy at Sista’s Place. We’ve always been trying to tap into the community and get the community to support what we’re doing. We call it “Jazz is the music of the spirit” and we believe that is the music – and this goes back to the East and seeing the symbiotic relationship between the community and the artist that was there, and to know that was a very important part of really moving the music forward. The music has to be rooted in the people in order to move the music forward. All of the things I was involved with in Manhattan never really had that. We were Bohemian artists, we weren’t people who… we may have been culturally aware but we weren’t involved in our culture in any way, except to play music. The difference is what we’re doing in Brooklyn now is that there is an understanding of the need, there is an active involvement with the community, there’s an active outreach to the community, and it’s making a difference. What is your planning process for the jazz presenting season at Sista’s Place? AA: Usually we start in August when we start planning for September to December. Then in December we plan from January to March, and sometime in February we work on our festival – which runs April-June. We’re still trying to do things that we feel are adventurous, still cutting edge, on Saturday nights. And I do book myself in twice a year. Talk about the artist forums you present. AA: We have many different forums at Sista’s Place; I’m constantly trying to figure out ways to get people in the place. The music is still a mystery [to most folks]; we artists work at honing our craft for hours and hours… most people don’t do that with what they do in [work] life. So to expect that somebody’s gonna come and really be open to what you’re doing, when you’re doing something that they’re not necessarily involved with is absurd. You’ve gotta be able to bridge that gap, and if you are the smartest person in the room – or so you think – then you need to reach out and try to personalize what you do. I think that the artist onstage has to be able to talk the people through the music. [Drummer] Andrew Cyrille, when he played here last Saturday with the Haitian Fascination, was a classic example of that. He talked about his background, his parents coming from Haiti, talked about the musicians [in his band] and how he had a relationship with them, where they came from, where they met… All that is important stuff that makes you as a member of the audience feel a part of what it is that person is doing. This music requires an educational forum. How do you structure these forums? AA: We would have an artist who is coming in [to perform on a Saturday night], we would have them come in a week before and we would find as much information as we can on them and have them talk to the audience; we would do an interview with them in front of the [free] audience. We also tape these interviews so that we have them as historical records. Or we do [the interviews] in the middle of the show. [For example} We would have a first set and at intermission we would have a conversation, then the second set. What are some of the programs presented here besides the jazz presentations? RW: We’ve had games nights, we’ve run some education [programs]; there’s a writer’s workshop run by Louis Reyes Rivera every other week where people come and get help with their writing. We’ve [presented] plays; we rent it out for wedding showers and parties; we’ve had a film series, a book club called the Revolutionary Book Club… So [Sista’s Place] has been pretty much open to the community. We have open mike where young people come… We’ve done a lot of things over the 15 years. VP: I think Sista’s Place is wonderful, it has had the benefit of the history of the East; it has had the benefit of the coming together of jazz & poetry, and history… I think what Sista’s Place has enabled us to do is to meet people that [the audience has] only read about. 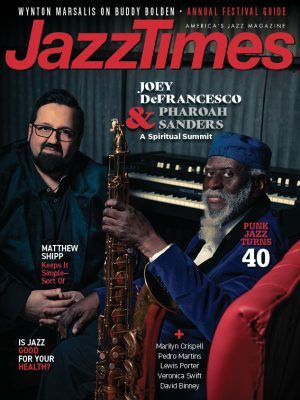 We do this thing for Trane and people are so engrossed with the genius; and we do this thing for Miles, and now my grandchildren can talk to me about some real music. We do it for the music; if we could just keep pushing this kind of network, it would be our path towards freedom.